Wilhelmus à Brakel was born on January 2, 1635, in Leeuwarden, the capital of the Dutch province of Friesland. He was the only son of two very godly parents–a renowned minister of the gospel, Theodorus à Brakel, and Margaretha Homma. The godliness of these parents placed its stamp on the rearing of their son, the only survivor of six children. 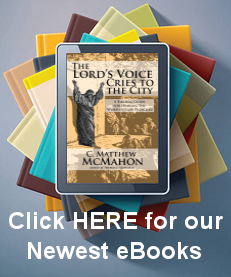 Wilhelmus was trained in the fear and admonition of the Lord. His mother would at times pray so intensely for him that she would forget herself. Of his father Theodorus, Dr. Fieret relates the following incident recorded in the classic biography of Wilhelmus à Brakel by Dr. F.J. Los: “Following his childhood, Wilhelmus attended the Latin school in Leeuwarden. At that time his father pastored in the village of Beers, southwest of Leeuwarden. Distance made it impossible to travel back and forth each day. His parents provided him with a thorough education, culminating in his study of theology at the Franeker Academy in preparation for the ministry of the gospel. In 1659, at the age of twenty-four, à Brakel was declared a candidate for the ministry. Since there were hardly any pastoral vacancies in Friesland, he was not ordained into the ministry until 1662. The interim period was a very fruitful period for him, however, as he studied at the University of Utrecht under the well-known theologians, Gisbertus Voetius and Andreas Essenius. Particularly Voetius greatly influenced him in regard to his personal piety. For twenty-one years à Brakel served in his native province Friesland. With great zeal he began his ministry in the difficult and indifferent congregation of Exmorra. His diligent labors during his three-year pastorate there were not in vain, as there was evidence of a noticeable stirring and blessing during his tenure. While laboring in Exmorra, the Lord also granted him a godly and faithful wife, Sara Nevius, with whom he enjoyed a blessed marriage in the Lord. In 1673 à Brakel accepted the call from the congregation in Leeuwarden, the city of his birth. For ten years he ministered to this large congregation as one of six ministers. His pastorate there was not without controversy. When intense desire to instruct his flock in the ways of the Lord led him to organize house services or “conventicles,” he met with opposition from his consistory which was fearful of the formation of churches within the church. à Brakel finally acquiesced in conducting a public catechism under the auspices of the consistory. He also came in conflict with his consistory and the governing officials of Friesland when he permitted his exiled fellow minister, Jacobus Koelman, to preach in his pulpit. When the government of Friesland also wanted to forbid him to preach, à Brakel stood his ground and challenged the government’s right to interfere in the government of the church. à Brakel prevailed, and as a result of both his courage and the publicity surrounding this controversy, he became a man of national renown. After weathering the Van Giffen controversy, in which à Brakel took a public stand against Rev. 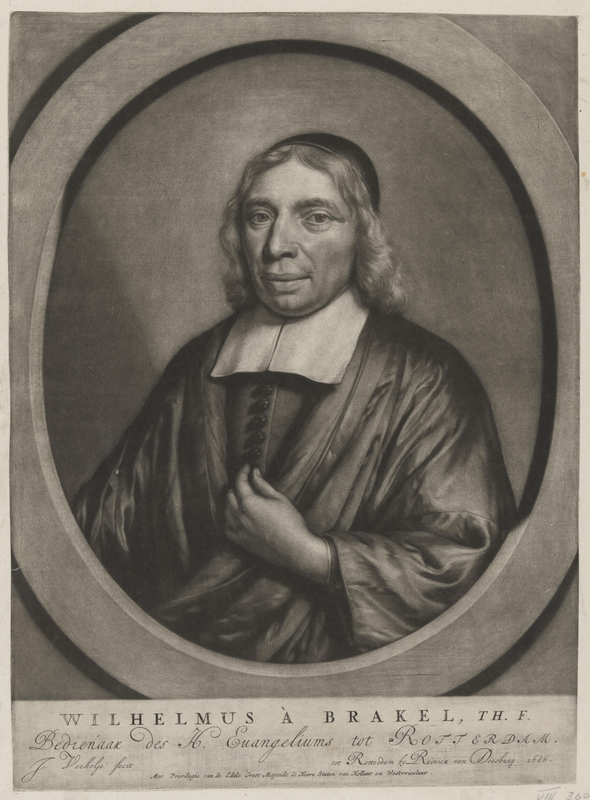 David Flud Van Giffen and his Cocceian views concerning the interpretation of the Old Testament, à Brakel accepted the call from Rotterdam where he would serve for twenty-eight years until his death in 1711. During his lengthy pastorate in Rotterdam, three matters stand out: his struggle against the Labadists, his battle for the independence of the church, and the publication of his magnum opus, De Redelijke Godsdienst. The Rotterdam pastor took a strong stand against the teachings and practices of the Labadists, the followers of the converted French Jesuit, Jean de Labadie. De Labadie, who had come to the Netherlands from Geneva, spoke out strongly against the ills that plagued the church and promoted “a pure church in which the Christian religion would be practiced as strictly as possible.” He became a strong proponent of a pure church consisting only of true believers, to which he joined a unique unbiblical mysticism. Initially he had a tremendous reputation and following, and caused a great stir in the Netherlands. à Brakel, deeply troubled about the corruption of the church and the lack of vital godliness, confessed that during his pastorate in Stavoren he felt very much inclined toward de Labadie and his teaching. After an intense spiritual struggle concerning this matter, he was persuaded that de Labadie’s views were unscriptural. Once à Brakel had a settled conviction about this matter, he took the Labadists and their views to task, being convinced that their teachings were detrimental to the well-being of the church. As was so common in these days, he became involved in a battle of the pen. His best known polemical work in regard to Labadism is Leer en Leydinge der Labadisten (Doctrine and Government of the Labadists). History proved à Brakel to have been correct in his analysis of Labadism, which, due to the unbiblical extremism of its teachings and practitioners, largely collapsed as a movement. of England). He persuaded the magistrate to let the matter rest. The third matter for which his Rotterdam pastorate is best known is the publication of De Redelijke Godsdienst (The Christian’s Reasonable Service). After all the upheaval he experienced in battling the Labadists and the local city fathers, he entered a tranquil period of his ministry during which he could devote himself to the work that has endeared him to the hearts of so many, and was without question the most significant accomplishment of his lengthy ministry. On August 30, 1711, Wilhelmus à Brakel preached the gospel for the last time. In his last sermon, during which he often had to sit down, he expounded the preamble of the Lord’s prayer. This message concluded the public ministry of a man of whose preaching Hellenbroek said that he could thunder as a Boanerges, comfort as a Barnabas, instruct as a Paul, and allure as a John. After having been comforted by his son-in-law, Rev. Van der Kluit, Brakel closed his own eyes, and calmly entered the eternal rest that remains for the children of God. He died in the Lord at the age of seventy-six after having served His Master faithfully for forty-nine years in the ministry. His Spirit-anointed ministry lives on, however, in the work we shall now examine more closely. Source: Bartel Elshout, The Pastor and Practical Theology of Wilhelmus à Brakel (Grand Rapids: Reformation Heritage Books, 1997), pp. 14-19.